Disclaimer: I received coupons to purchase Luvo meals to review as part of being a BibRave Pro. Learn more about becoming a BibRave Pro (ambassador), and check out BibRave.com to review find and write race reviews! For the past couple of days, I have been trying Luvo meals! Haven’t heard of Luvo? Me neither – at least before now! Luvo wants to make it easy to make healthy choices by creating meals that taste great by following four guiding principles : 1) food should be delicious, 2) food should be nutritious, 3) the smart choice should be an easy choice, and 4) food should come from real ingredients. Luvo meals vary in style and taste – mild to spicier, vegan to vegetarian to meat eating – and are low in calories and use nutrient dense ingredients like fruits, vegetables, and whole grains! Luvo makes steam pouches (the only meals in my area), burritos, and bowls! I am hoping we get the bowls in our area soon – they look amazing!! I am not a big morning eater typically, but I made an exception today! It took a a little longer in the microwave, but didn’t disappoint in the flavor department! With 1/2 cup vegetables, the portion was just enough to satisfy my hunger and keep me from snacking around for a bit 🙂 While I would have liked to have an additional side, this dish didn’t disappoint! [afternoon run] I wanted to get out in the morning…but the wind was a little crazy and the dishes in my sink kept me from heading out. 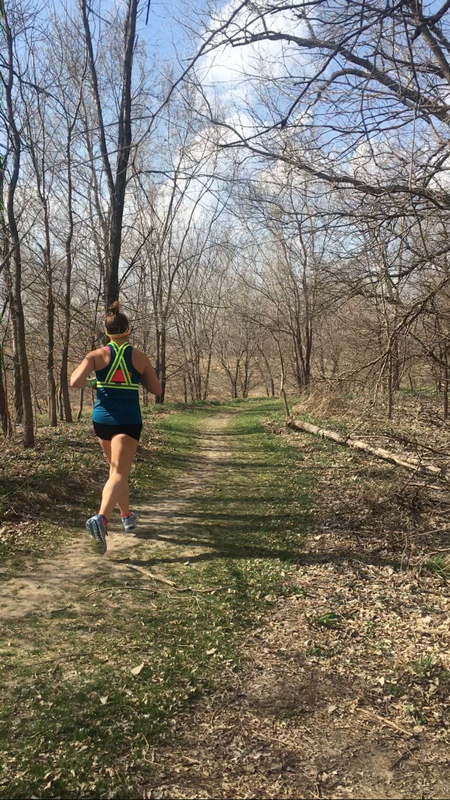 I was able to get away from work and get a windy trail run! While I avoided the wind in the morning, it didn’t let up all day! The wind was A BIT much…we were even in tornado watches an hour or so after I got back…yikes!! But who can really complain about 80 degree temps at the beginning of March…not me!! As I mentioned before about the crazy winds – little man and I stopped by a cousins house on the way home to be sure we would get swept away! There was a couple tornado watches and warnings in the area and we stayed safe until we were in the clear. This meant that dinner needed to be served pronto when we got home! I headed to the freezer, popped in a Luvo dish, made little man his requested sandwich-orange-crackers, DING – my dinner was ready too! I was able to purchase several different Luvo meals – more than what I would eat in one day! 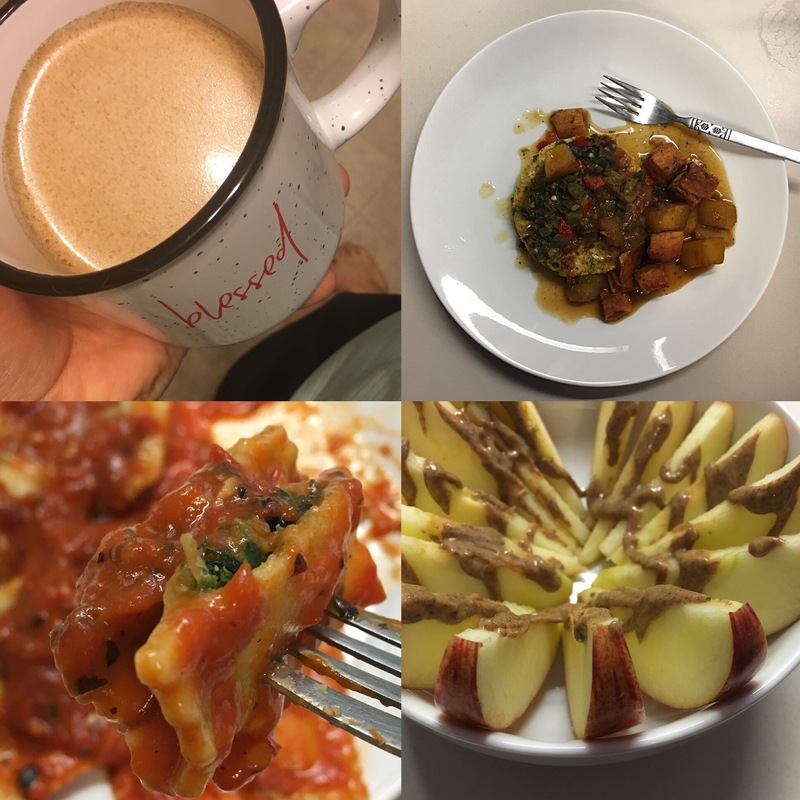 Here are a few other meals that I have been able to try! I am a BIG oatmeal fan…but I don’t eat it all that often. 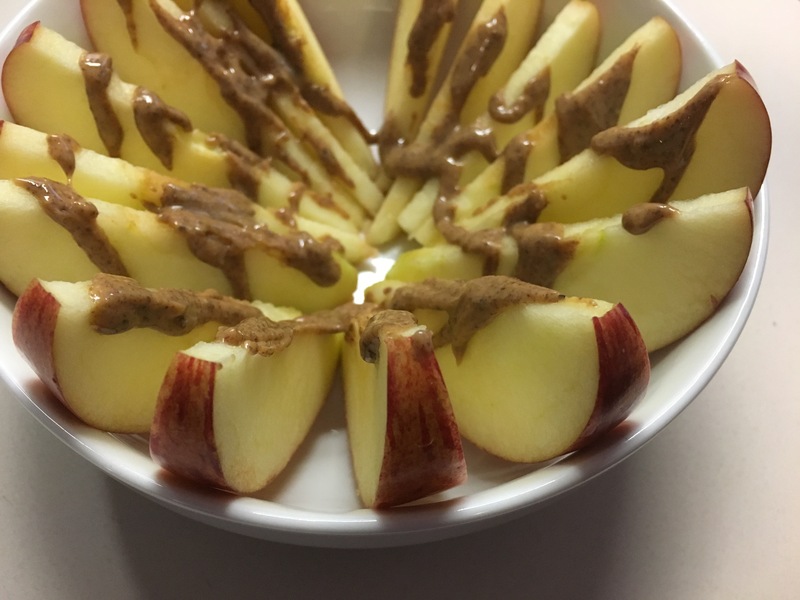 I was very excited to try this dish – and I will be going back to the store for more! The oatmeal was great with the steel-cut oats and quinoa. I also really enjoyed the warm fruit – I typically top my oatmeal with fresh fruit, and that is going to have to change! That ravioli looks SO GOOD. I’ve never heard of this company/ product before, but they definitely do look good and worth trying. Thanks for the reviews!